We argue that the SCQ should be supplemented because it does not adequately constrain the set of admissible answers. We use Markosian's recent answer (Regionalism) to show that the SCQ isn't asking the question that mereologists and ontologists actually wanted to answer in the first place. 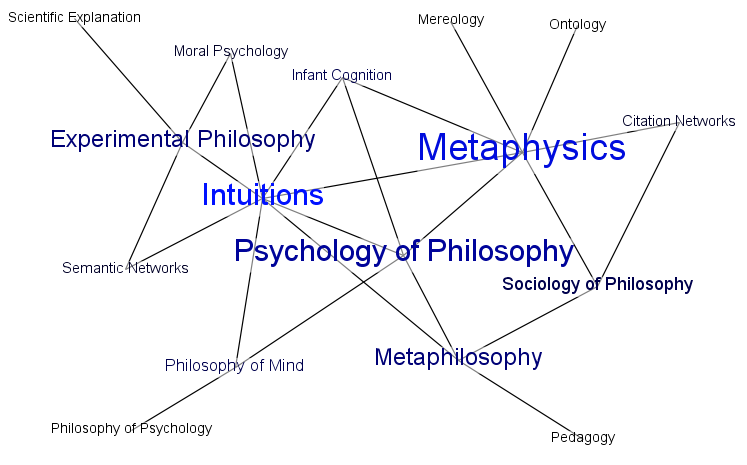 I argue that metaphysical intuitions are generated by an innate physical reasoning system, as evidenced by the fact that infants have intuitions (or, proto-intuitions) comparable to those of professional metaphysicians (e.g., the principle of spatio-temporal continuity). This, I argue, has important implications for the epistemology of intuitions in material object metaphysics. Testing high school students before and after 7 days of philosophical education, using LSAT questions and the Cognitive Reflection Test. We know philosophers do better than most on these tests, but we don't know whether this is because of philosophy or simply the result of high scoring folks choosing to pursue philosophy. Preliminary results indicate that philosophical education improves scores on both tests. Through a series of studies, our lab is aiming to understand how scientists and other non-philosophers conceive of explanations. So far, the results suggest that intelligibility is necessary, but accuracy may not matter. Using semantic data from Twitter, Facebook, Lexis Nexis, and news media to evaluate the real world impact of social justice films. The aim of this project is to help Sundance determine which film makers should receive greater funding, based on how successful they have been in spreading their message with previous films. We seem to have an obligation to speak well of the dead. This is most clearly seen in obituaries. Drawing from thousands of obituaries, Mark Alfano and I are developing a (partial) ramsification of virtue-talk in ordinary discourse to develop maps of the values we ascribe to the dead.